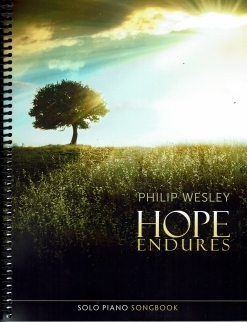 Hope Endures is the companion sheet music book to Philip Wesley’s 2012 solo piano album by the same name. 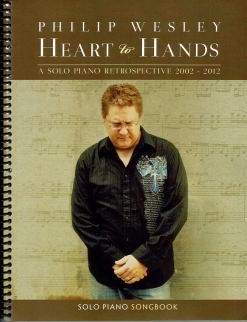 All twelve original pieces and arrangements are included in the book, notated note-for-note to the recording to be as accurate as possible. 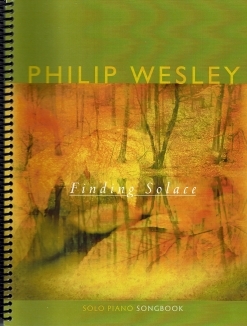 I noticed as I was playing through the book that several pieces that are in the public domain show Wesley as the composer. Those should say “Arranged by Philip Wesley.” Those songs are “Amazing Grace,” “What a Friend (aka “What a Friend We Have in Jesus”), “Just as I Am,” “Come Thou Fount,” and “America the Beautiful.” The book itself is spiral-bound and printed on a bright white medium-weight paper stock. Front and back covers are full-color reproductions of the artwork from the CD. Notation is clear and easy to read and is well-spaced. The last page of the book includes a short bio of Philip Wesley, notes about the music and a list of his other songbooks up to 2013. Most of the pieces are relatively easy to play, and pianists at an upper-intermediate to early-advanced playing level should have little trouble mastering them. “America the Beautiful” has several left hand reaches of more than an octave, but I was able to play most of the top notes of those chords with my right hand. Suggestions for pedaling, metronome settings, and expression and dynamics are all clearly marked. 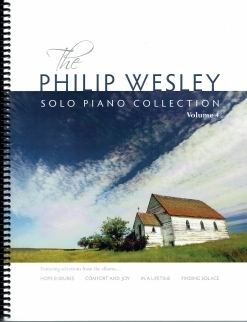 Hard copies and downloads of the book and downloads of the individual pieces are currently available exclusively from www.PhilipWesley.com. This is a very enjoyable songbook to play and those who enjoy having arrangements as well as original music should be very happy with it.